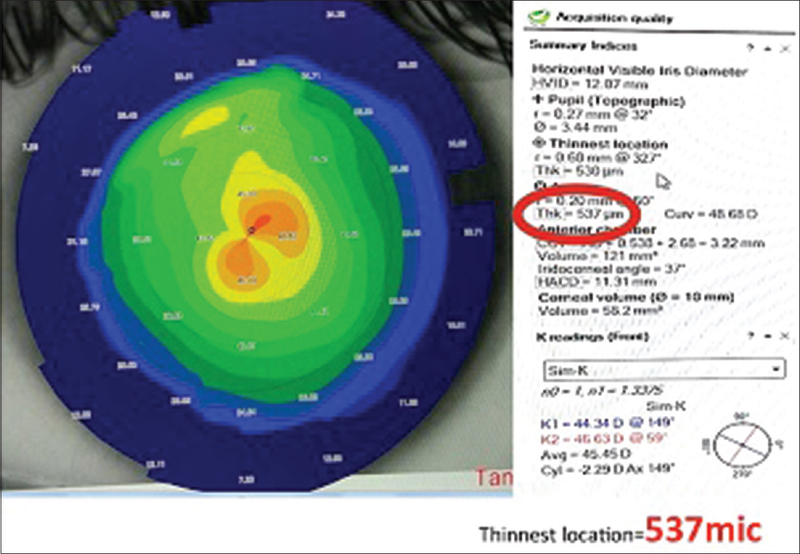 Question 1… Identify the topographic pattern. Is it normal? 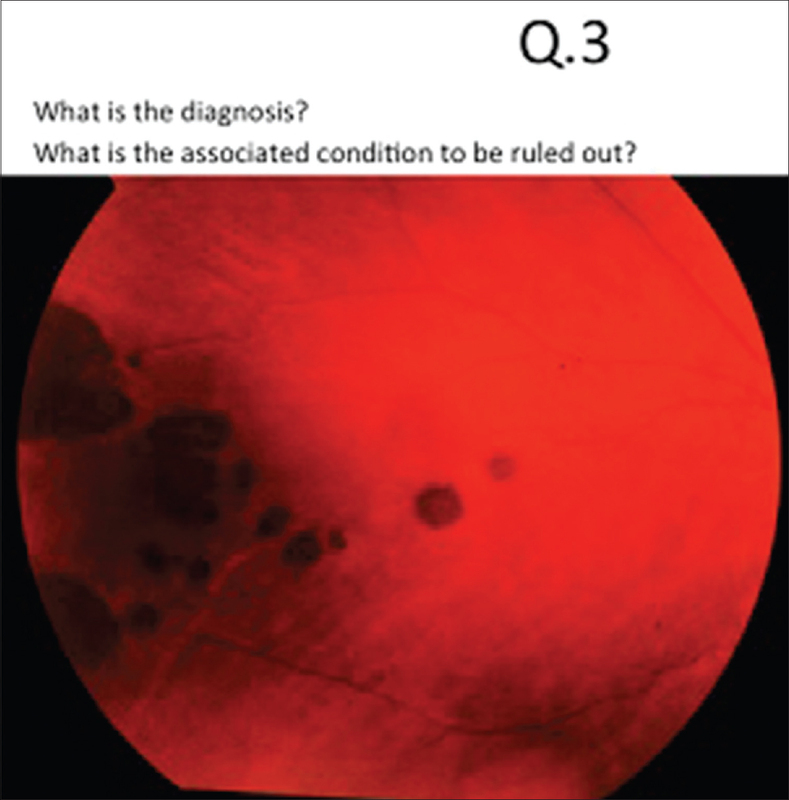 Question 2… Rajeev complained of blurred eye for 2 weeks. He gives a history of taking a nasal spray for the past 6 months. What is the diagnosis? Name any three drugs (other than steroids) that are reported to cause this condition. Question 3: What is the diagnosis? What is the associated condition to be ruled out? A subgroup of these lesions has been associated with familial adenomatous polyposis (Gardner syndrome). Question 4: What is this? 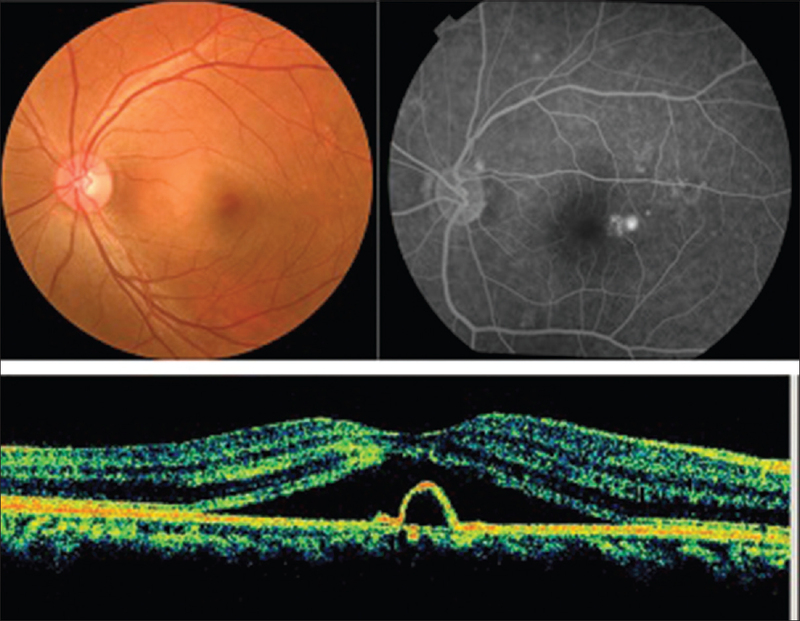 In fundus fluorescein angiogram (FA), these vessels do not leak fluid. 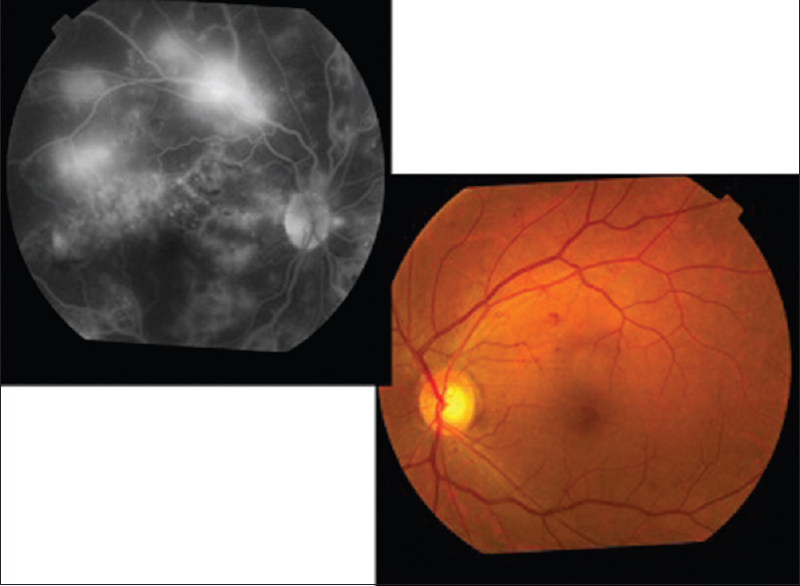 Question 5: Sometimes, you may come across a patient with proliferative diabetic retinopathy (PDR) in one eye and non-PDR or no diabetic retinopathy (DR) in the other eye. Name any three conditions you need to rule out in such cases of asymmetric DR.